CVS HyperInspect is a modular hyperspectral imaging system that allows for chemical material properties analysis in industrial environments. Chemical Colour Imaging (CCI) visualises the molecular structure of materials by different colouring in the resulting images. All systems are pre-configured and calibrated for fast integration in many different applications. 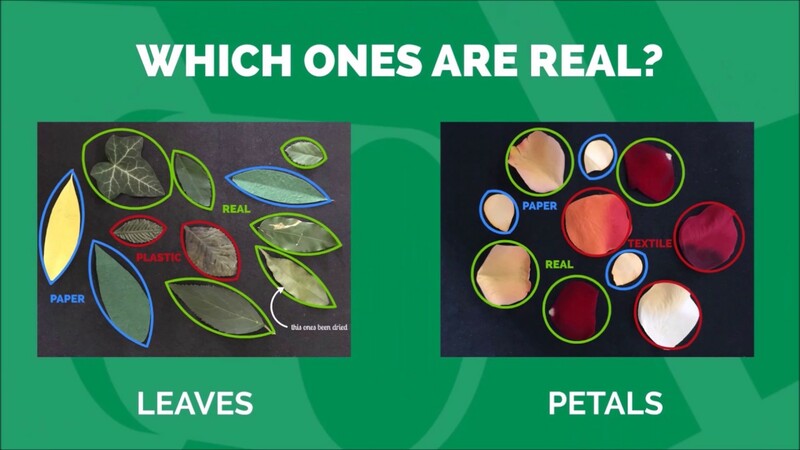 Are those leaves real? Or paper? Or plastic? The differences are often subtle and hard to discern for a machine vision system - unless it uses chemical colour imaging (CCI): with this hyperspectral imaging technology revealing the true nature of objects is a piece of cake. Example of a hyperspectral system from STEMMER IMAGING including camera, illumination, lens, frame grabber and imaging computer. The monitor shows a hyperspectral image of a test object. This capture of a human hand visualises the blood vessels inside by using CCI and a hyperspectral system. In this example, CCI is used to detect fat and bones in chicken meat. 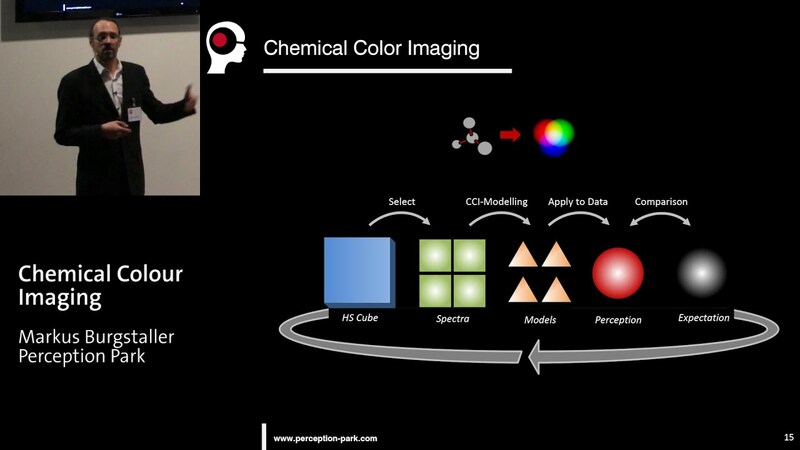 In this presentation from the UK Vision Technology Forum 2016 - hosted by STEMMER IMAGING and the European Imaging Academy - Markus Burgstaller from Perception Park explains how Chemical Colour Imaging (CCI) can be deployed with hyperspectral machine vision systems in industrial applications. The CVS HyperInspect provides you with a comprehensive range of all the components needed for your hyperspectral imaging task. They are characterised by their modular design. One core element is Perception Park’s software package featuring an intuitive and individually configurable graphical user interface. The intuitive software solution saves you time and money by enabling you to develop your own in-house expertise. This also helps to keep company developments independent of external research institutes when developing your application, as there is no need to share the knowledge to be able to develop the hyperspectral solution. Thanks to our many years of experience as a partner of renowned companies in the industrial field we completely understand our customers´ requirements ensuring their reliable fulfilment when planning and designing the systems. This includes our CVS HyperInspect use the proven standard interfaces such as GigE Vision and CameraLink. On the software side, hyperspectral data volumes are specifically reduced in order to extract only the interpretable chemical properties. You are supplied with a system that meets the requirements of modern industrial manufacturing and thanks to standardised communication protocols your system quickly and simply integrates into an existing application. Furthermore, you save on the costs of designing the complex processing architecture which is required for hyperspectral imaging. Compact precalibrated hyperspectral line scan cameras. Other useful components to enhance your system such as frame grabbers. By using the “Perception Studio” software spectroscopy level knowledge is no longer required. The innovative software bridges the gap on applications that could not have been solved by conventional colour imaging, without the use of the experts. Perfectly suited to Common Vision Blox (STEMMER IMAGING) and Sherlock (Teledyne DALSA), compatible with VisionPro, Halcon, NI Vision, MIL and Coake. Hyperspectral analysis allows clear distinction of substances, for example chicken meat where the colour of bones and meat show a high degree of similarity. Meat, fat and bones can be reliably classified which significantly facilitates the cutting of chicken pieces. Hyperspectral imaging allows you to reliably classify material properties regardless of visual appearance ensuring you easy and precise separation of recyclable waste. 100% testing of substances in medical products can be achieved by applying hyperspectral systems in production lines ensuring complete control in ongoing manufacturing processes without delays. I am Jörg Schmitz. I am your sales contact for hyperspectral technology at STEMMER IMAGING. I will gladly answer any question you might have on the interesting, innovative CCI systems. High resolution SWIR lens for sensor size up to 1"